We are the leading distributor of Plasters, Tile Grouts and Tile Adhesives to fix all types of ceramic tiles, mosaics and natural stones, on all types of usage. A Nalin Enterprises is known for its range of products like Plasters, Tile Grouts and Tile Adhesives. The Grey Tile Fixing Solutions are meant to fix ceramic tiles on walls / floors, used in renovation for fixing tile on tile application. The White tile fixing solutions are meant to fix Natural Stones on walls and floors and are ideal for fixing glass mosiac in swimming pools. Tile Joint Fillers add beauty to your tiles for internal wall & floor areas. 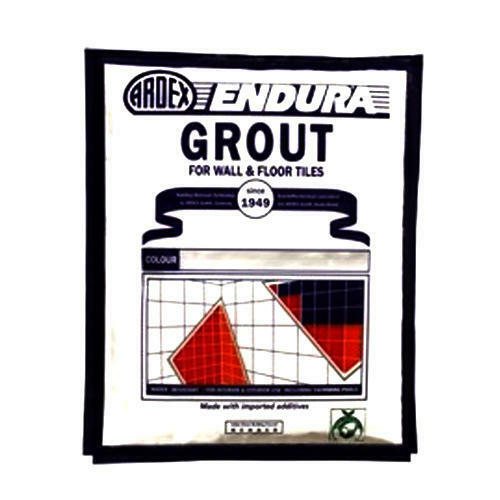 The Water Repellent Grout (Colour Dew Drop Grout) is best suitable for wet areas. We are looking for queries from Chandigarh, Panchkula, Mohali, Himachal Pradesh, Punjab, Baddi, Jammu & Kashmir, Haryana & Delhi.